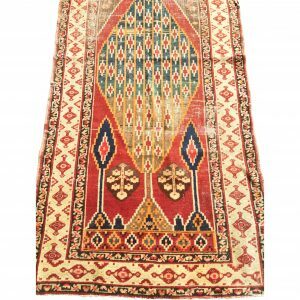 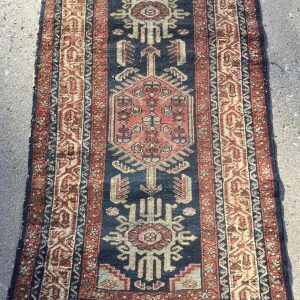 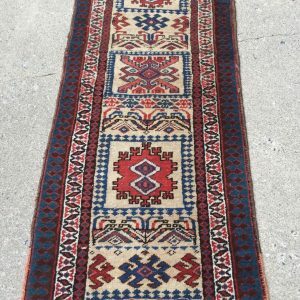 Home / Antique Rug / IEMR6 3’3×4’5 Old Karaja rug. 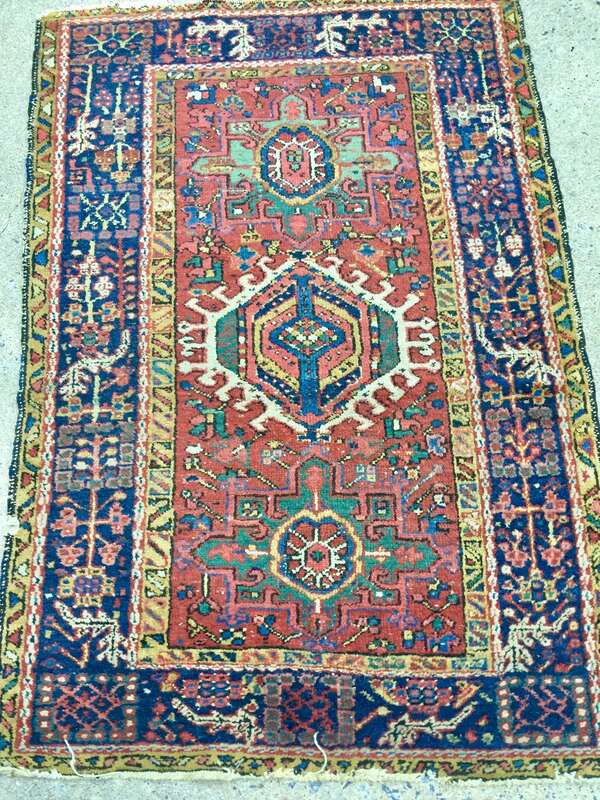 3’3×4’5 Pretty Karaja from 1920’s Persia. 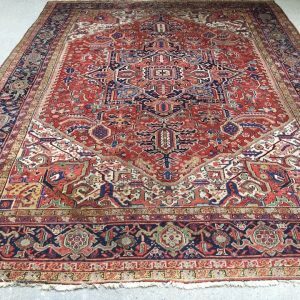 Good color including two nice greens, navy, rust, yellow, Ends need attention, small chunk out of one side.